Eight different countries with players in the National Women's Soccer League will take part in friendly matches ahead of the 2019 Women's World Cup in France. As the National Women's Soccer League enters the fourth week of preseason training camp, 60 players - give or take a few - are setting off to help their countries prepare for the 2019 Women's World Cup in France. The NWSL will play its first games on April 13th and 14th, and all players are expected to be back before opening weekend. The huge number of missing players will help coaching staffs make important personnel decisions as sporadic absences are expected to occur throughout the 2019 season. Unsurprisingly, most of the missing players will be playing for the United States. 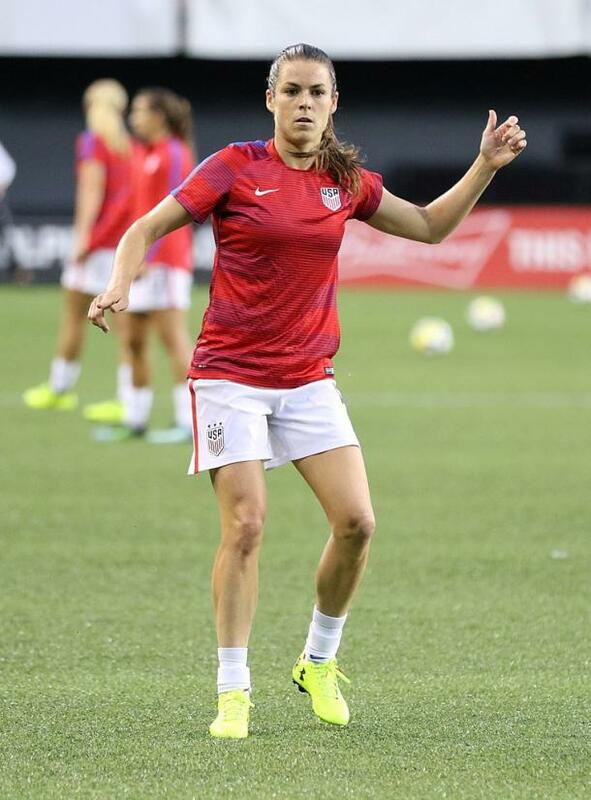 The USWNT has matches scheduled against Australia on April 4th and Belgium on April 7th. The United States has not beaten Australia since the Group Stage of the 2015 Women's World Cup. Goalkeeper Jane Campbell (Houston Dash) was a late addition to the team after Adrianna Franch (Portland Thorns FC) injured her knee in training. Alyssa Naeher (Chicago Red Stars) is the projected starter for the USA while Ashlyn Harris (Orlando Pride) is the backup. Seven defenders were called into camp. Becky Sauerbrunn (Utah Royals FC), Abby Dahlkemper (North Carolina Courage), and Tierna Davidson (Chicago Red Stars) are the center backs. Crystal Dunn (North Carolina Courage), Emily Sonnett (Portland Thorns FC), Ali Krieger (Orlando Pride), and Casey Short (Chicago Red Stars) are the outside backs. Kelley O'Hara (Utah Royals FC) was not called up due to injury. 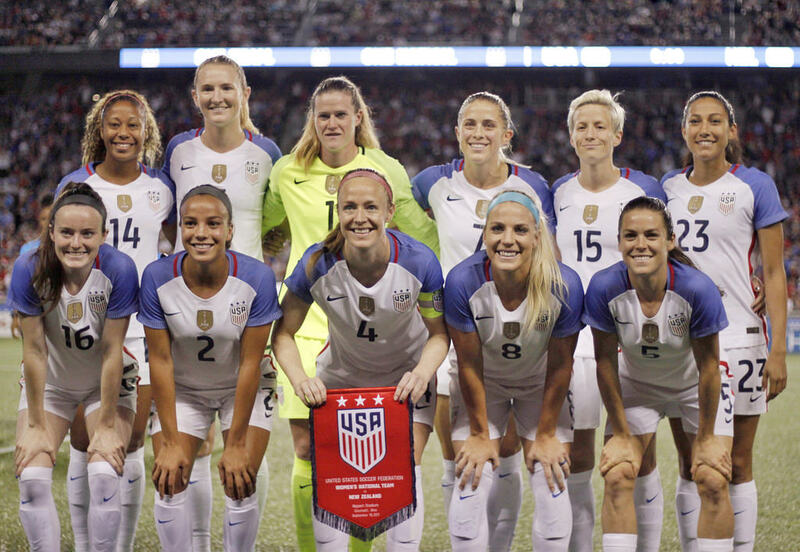 Head coach Jill Ellis also called up seven midfielders. Julie Ertz (Chicago Red Stars), Rose Lavelle (Washington Spirit), Samantha Mewis (North Carolina Courage), Andi Sullivan (Washington Spirit), and McCall Zerboni (North Carolina Courage) all got called up to the last USWNT matches. Lindsey Horan (Portland Thorns FC) missed the last few matches with an injury. Allie Long (Reign FC) missed the last few call ups, but she made the cut this time. Morgan Brian (Chicago Red Stars) is not part of the roster. There are also seven forwards. Tobin Heath (Portland Thorns FC), Carli Lloyd (Sky Blue FC), Jessica McDonald (North Carolina Courage), Alex Morgan (Orlando Pride), Christen Press (Utah Royals FC), Mallory Pugh (Washington Spirit), and Megan Rapinoe (Reign FC) are all returning to the team after participating in the 2019 SheBelieves Cup. The second largest contingent comes from Australia. Goalkeeper Lydia Williams (Reign FC) is expected to start in goal for Australia against the United States on April 4th. Ellie Carpenter (Portland Thorns FC), Steph Catley (Reign FC), Caitlin Foord (Portland Thorns FC), Elise Kellond-Knight (Reign FC), Alanna Kennedy (Orlando Pride), Samantha Kerr (Chicago Red Stars), Chloe Logarzo (Washington Spirit), Clare Polkinghorne (Houston Dash), Hayley Raso (Portland Thorns FC), and Emily Van Egmond (Orlando Pride) are all part of the Australia roster. Canada will travel to England for a match in Manchester on April 5th. No official roster has been released, but the following list back be found on the Canada Soccer website. Goalkeepers Stephanie Labbe (North Carolina Courage) and Kailen Sheridan (Sky Blue FC) are both expected to get called up. Defenders Shelina Zadorsky (Orlando Pride) and Lindsey Agnew (Houston Dash), midfielders Diana Matheson (Utah Royals FC), Desiree Scott (Utah Royals FC), and Sophie Schmidt (Houston Dash), and forwards Christine Sinclair (Portland Thorns FC) and Nichelle Prince (Houston Dash) are all expected to travel to England with the team. Forwards Jodie Taylor (Reign FC) and Chioma Ubogagu (Orlando Pride) along with defender Rachel Daly (Houston Dash) are expected to play for England against Canada on April 5th and Spain on April 9th. Brazil will face off against Spain on April 5th and Scotland on April 8th. Marta (Orlando Pride), Debinha (North Carolina Courage), and Camila Pereira (Orlando Pride) are all expected to join the team. The Chicago Red Stars will also be without New Zealand midfielder Rosie White. The North Carolina Courage will not have New Zealand defender Abby Erceg and Ireland midfielder Denise O'Sullivan. Swedish midfielder Julia Spetsmark is not expected to be away from the team. Portland Thorns FC will likely be missing Iceland midfielder Dagny Brynjarsdottir. Swiss forward Ana Crnogorcevic does not appear to have any scheduled matches with Switzerland. Spanish defender Celia Delgado and Danish defender Theresa Nielsen are likely to be missing from Reign FC. Utah Royals FC will probably be missing New Zealand defender Katie Bowen and Scotland defender Rachel Corsie, but it is not yet clear whether they will be missing Iceland midfielder Gunny Jonsdottir and Spanish midfielder Veronica Boquete.